Italy has petitioned the United Nations over the trial of its two marines in India under a strict anti-piracy law for the killing of two Indian fishermen, and said it would exercise "all options" to bring back the naval personnel. Italy has "initiated contact" with the Office of the UN high commissioner for Human Rights over "the lack of charges" and the "restriction of freedom" placed on the marines since 2012, Foreign Minister Emma Bonino said. "The high commissioner for Human Rights has agreed to assess the petition," she was quoted as saying by Italian news agency ANSA. 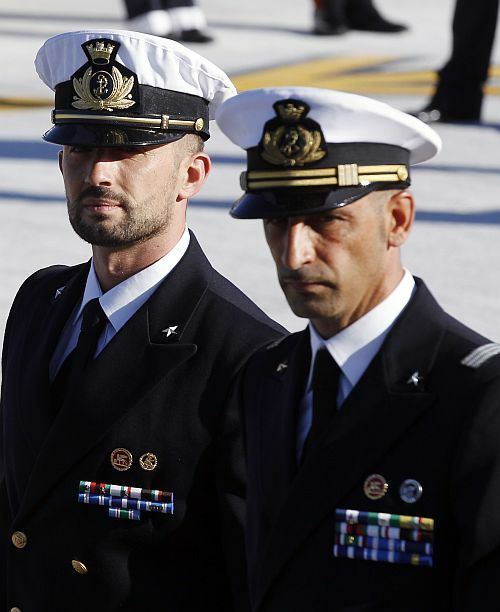 Her comments came a day after Prime Minister Enrico Letta warned that Italy and the EU would "react" to India's "unacceptable" move to invoke a strict anti-piracy law against marines Massimiliano Latorre and Salvatore Girone. Bonino also reiterated her country's support to the two marines. "Our marines are neither terrorists nor pirates. They carry out a role in the name of the Italian government," she told parliament's foreign affairs and defence committees. "All options are open, from politics and diplomacy tolegal channels. The goal is the dignified return of our marines," Bonino said. After the hearing, the chairs said they plan to write to their counterparts in all the EU member states and the European Parliament to seek international support. On Tuesday, EU foreign policy chief Catherine Ashton said the grouping needs to send a "strong message" to India as the trial of the marines has "huge implications" for Europe's fight against piracy. Meanwhile, diplomatic sources told ANSA that Rome might freeze a number of treaties being negotiated with India. Indian authorities have given their nod to the National Investigation Agency, which is probing the matter, to prosecute the marines under the Suppression of Unlawful Acts against Safety of Maritime Navigation And Fixed Platforms on Continental Shelf Act. The SUA carries the death penalty. India last week removed the possibility of a death penalty but insisted that the marines would still be prosecuted under the anti-piracy law. Now, they face up to 10 years in jail.